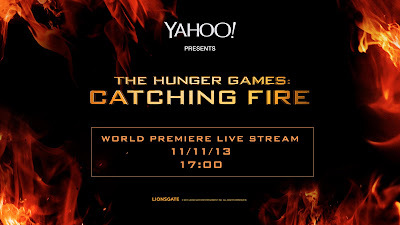 The entire premiere event will be streamed live worldwide at 5PM GMT on 11/11/13. Click here to check out where the stream will take place, and bookmark ready to watch on the big night! 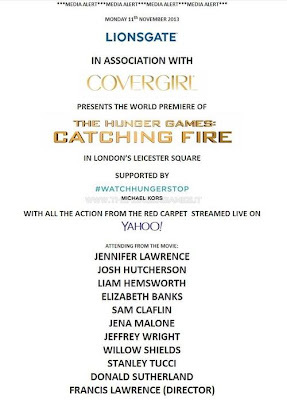 The cast members set to attend the worldwide Catching Fire premiere in London have been officially announced! Yahoo! will be live-streaming the event for the world to see! The source comes from an email by Freuds, a UK press marketing agency servicing Lionsgate. Many thanks to thehungergames.it for bringing it to our attention. 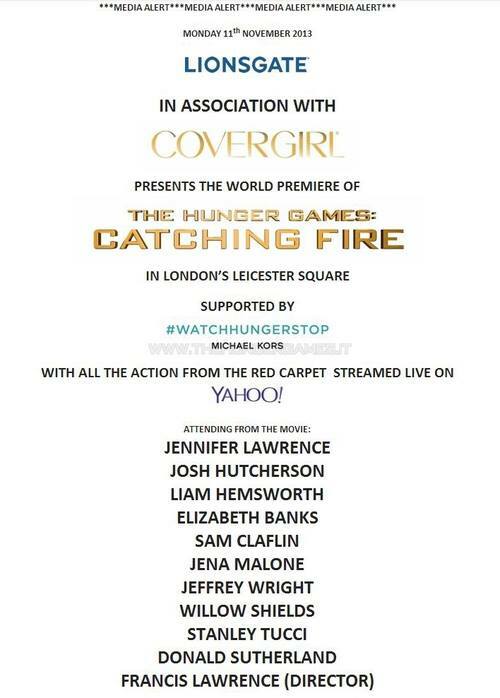 In addition to this, Lionsgate officially announced via a press release that China will be getting Catching Fire! The film will open in more than 3,000 screens on November 21st.